Chart No. 7 - Brachial Plexus and Occipital Release as a Specific for Respiration, Circulation, Heart and Digestion. 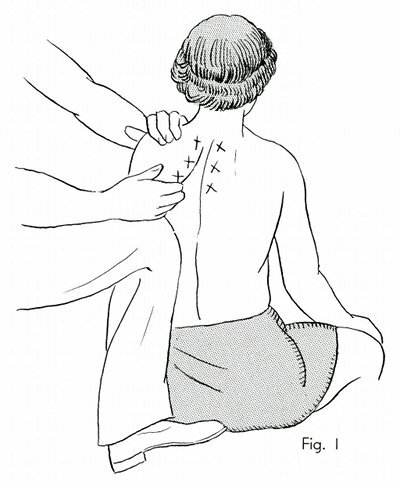 Release of brachial plexus blocks by getting the fingers under the shoulder blades as high as possible in a lifting motion with the patient sitting up. Specially indicated in heart trouble and respiratory difficulty. 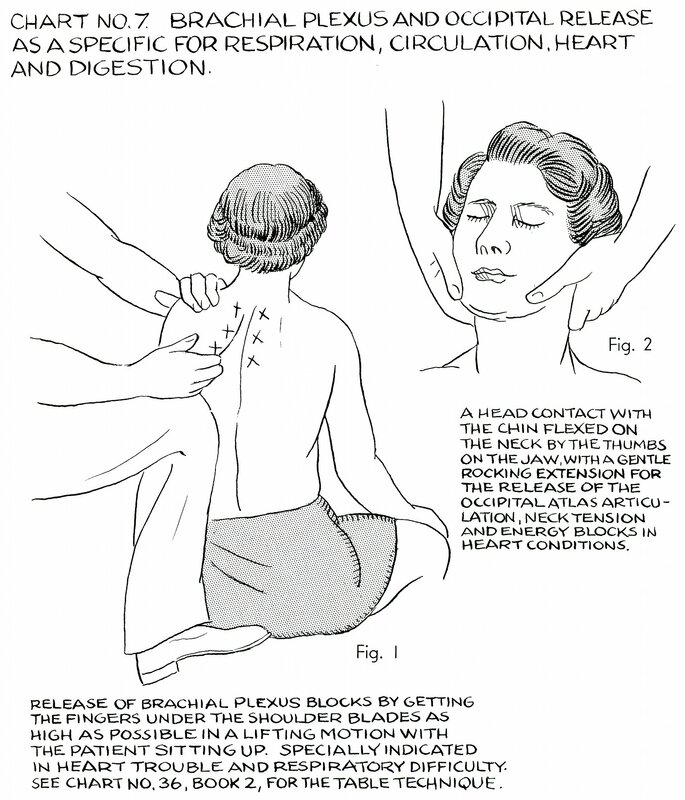 See Chart No. 36, Book 2, for the table technique. 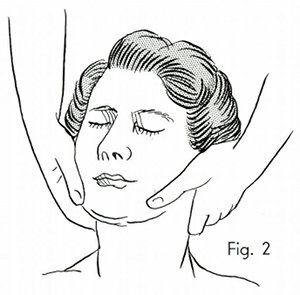 A head contact with the chin flexed on the neck by the thumbs on the jaw, with a gentle rocking extension for the release of the occipital atlas [atlanto-occipital] articulation, neck tension and energy blocks in heart conditions. Book 4, "Explanation of Chart No. 7"